Summer vacation is less than two weeks away for my family. And with it comes some much-needed relaxation and some serious playtime. We'll be hitting the pool two or three times a week, and my kids are already deep in the planning stages of fun crafts and activities they want to accomplish when they aren't swimming. Although school will officially be over for us, that doesn't mean the learning stops. Summer provides its own unique learning opportunities. And I am alway careful to plan projects or activities that help my kids maintain what they've learned in school. I'm also fortunate to be raising some avid readers. And I carefully nurture their love of books. So yes, we do participate in Summer Reading Programs, both online and at our local library. 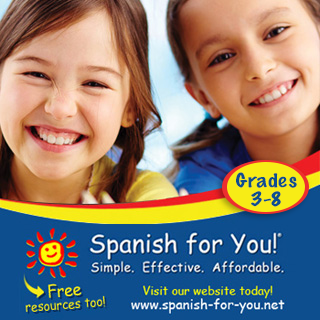 And of course, the L4LL Latino Children's Summer Reading Program starts on June 1st - you can sign up for free! But here's something that caught my eye yesterday: La Clase de Sra. 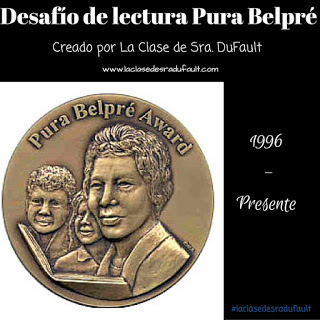 Dufault has issued a Reading Challenge of Pura Belpré Award books! The challenge is simple. 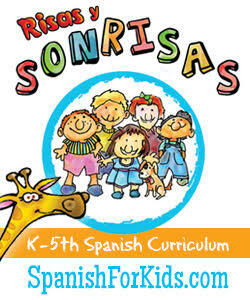 All you have to do is read all of the books that have received the Pura Belpré Award. Pura Belpré was the first Latina librarian of New York City. If you don't know about her, there is a must excellent book written by Lucia Gonzalez and illustrated by Lulu Delacre titled, "The Storyteller's Candle." 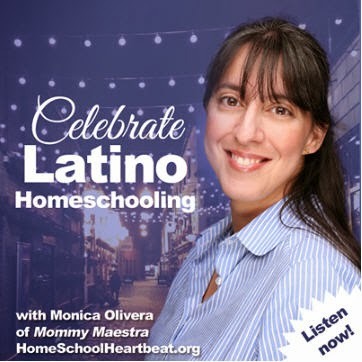 It shares her story of how she reached out to the Latino (mostly Puerto Rican) families in her community and made the library an important resource for all of them. You don't have to read them in order. Just grab one and start reading! I guarantee you will not be disappointed by any of the books. 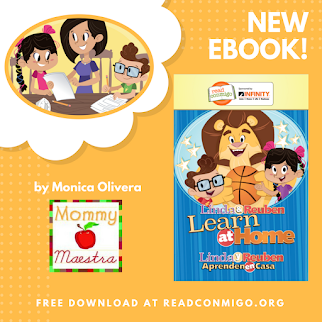 These award-winning stories are exceptional; masterfully written, beautifully illustrated, and examples of the diversity of the Latino culture. You can find a list of this year's winners here and a list of all the previous winners from years past over here. 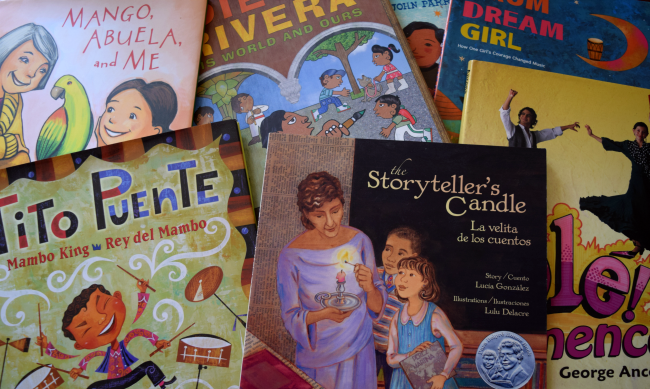 From Carmen Lomas Garza's Magic Windows to Pam Muñoz Ryan's The Dreamer, these books are engaging for children and parents alike. And if your local library and bookstore don't carry these books, you can order them online from The Latin Baby Book Club store (aff). 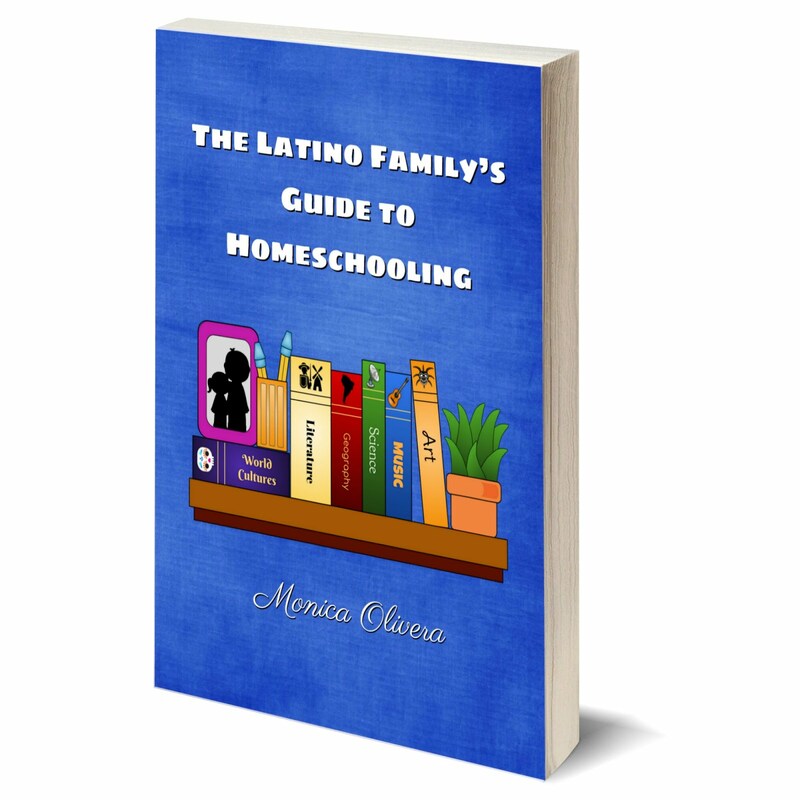 That link takes you directly to the section that lists all of the Pura Belpé books. So don't wait! Head over and download your printable reading log today!